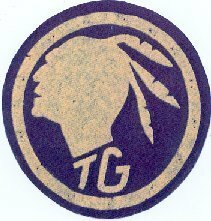 Tribe of Gorgonio - The Tribe of Gorgonio began around 1927 as an honor camper society for the Orange County (CA) Council's Camp RoKiLi, at Barton Flats in the San Bernardino Mountains. Since the first season of the camp (1922), a climb to the 11,499-foot peak of Mt. San Gorgonio was a highlight of the camp's program. This was later incorporated into the name and rituals of the Tribe of Gorgonio. Like the Order of the Arrow, the Tribe of Gorgonio used an Indian theme. New members were elected by the members in camp each week, and could advance one rank each summer, beginning as a Brave, then Warrior, Medicine Man, and finally Chief. Later (after 1931), Scout Executive H.E. "Pop" White was declared the sole Chief of the Tribe and a new initial rank was created which was Neophyte. Initiation rites were also similar to the OA. Neophytes were bound in 24 hours of silence, did camp work projects, and slept a night on Tribe Hill, where the ceremonies were held. Brave candidates also had to lead younger campers on an overnight hike and spent 48 hours in silent service. Warriors were bound for three days, and had to climb the Tribe's namesake peak. And before a Scout could become a Medicine Man he had to spend an entire camp week (six days) in silence. One interesting tradition in the Tribe was that along the trail to Tribe Hill was a 150-pound boulder; any time a Warrior or Medicine Man went up the trail, they were required to move the rock up towards the ceremonies area -- it did not have to be far, but it had to be moved. By the time of the Tribe's demise, one rock had already reached the circle, where it served as sort of an altar in the Tribe's ceremonies, and a second one was mid-way up the trail. The Tribe of Gorgonio was active until the summer of 1944. "Pop" White had died in 1943, and in the fall of '44, new leadership in the Council began to make plans for adopting the Order of the Arrow. There was an outcry from some of the old Tribe members, while others went on to be very active in the early days of San Gorgonio Lodge #298 in Orange County.